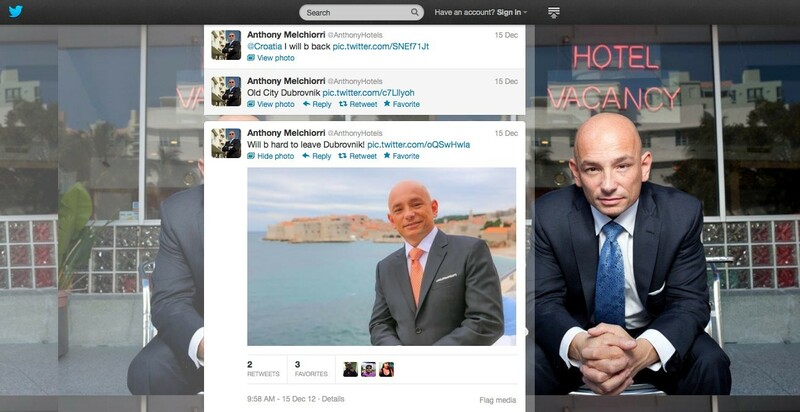 Famous hotel guru Anthony Melchiorri found himself filming in Dubrovnik last week for a new one hour special titled ‘Trip of a lifetime’. 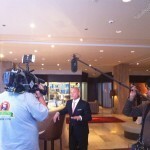 Melchiorri is well known to viewers of the Travel Channel in the US as presenter and producer of the series ‘Hotel Impossible’. 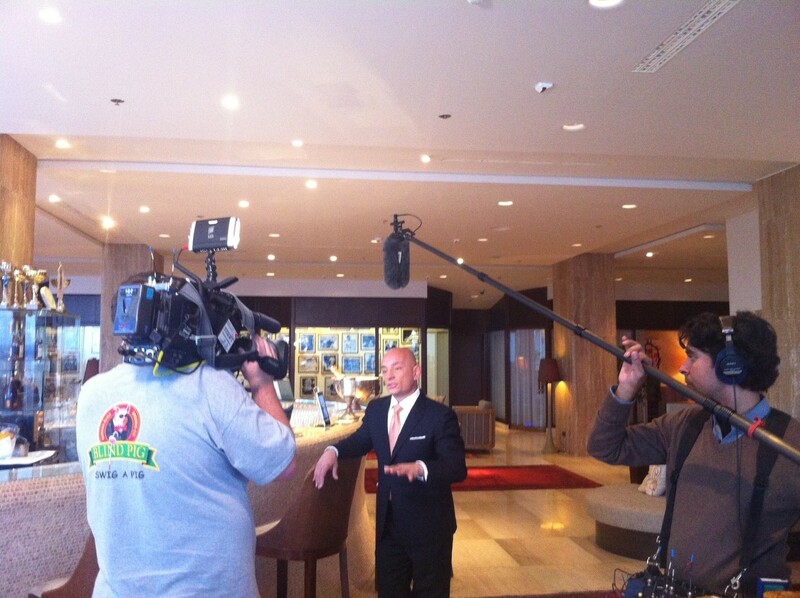 The Trip of a lifetime series focuses on the most exciting destinations for 2013, with its latest episode focusing on the Adriatic coast meaning that 90 million Americans will have the opportunity to learn about Dubrovnik and the hotels owned by Adriatic Luxury Hotels in the area. The special which will air on January 30th will show the historical and unique beauty of the Adriatic coasts in Italy and Croatian with a focus on the luxury travel offer. In Dubrovnik Hotel Excelsior, Hotel Bellevue and the luxury Villa Sheherezade were filmed, and in conversation with employees of the hotels Melchiorri uncovers what makes them so special. 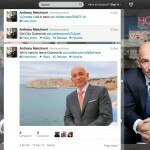 Melchiorri couldn’t hide his delight when in Dubrovnik tweeting that although he constantly travelled, he was thrilled with the City’s authenticity and warm people and would be back with his family for their own trip of a lifetime.